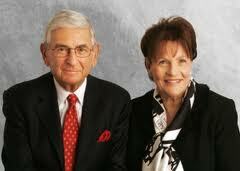 The Eli and Edythe Broad Foundation calls itself "a national venture philanthropy established by entrepreneur and philanthropist Eli Broad (pictured with Edythe) to advance entrepreneurship for the public good in education, science and the arts". 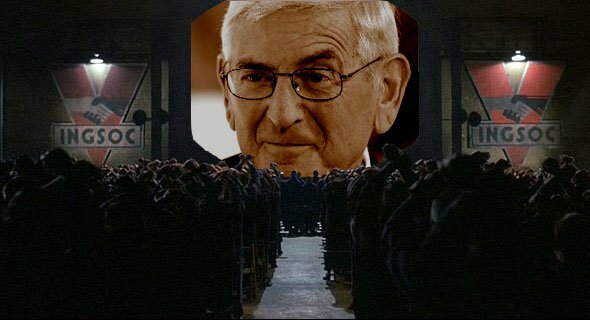 Eli Broad made his billions in business, including real estate and insurance. Reference: ‘A Parent Guide to the Broad Foundation's training programs and education policies’, Parents Across America, 19 April 2011. 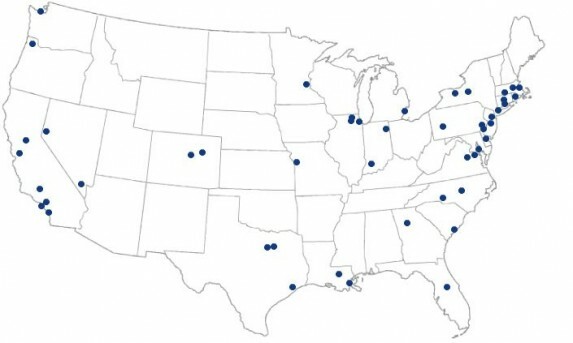 Apart from its leadership programmes outlined below, the Broad Foundation provides funds to groups advocating charter schools such as Education Reform Now and also to groups training non-educators to be teachers and principals in schools (such as Teach for America and New Leaders for New Schools). A hallmark of the Broad-style leadership is closing existing schools rather than attempting to improve them, increasing class size, opening charter schools, imposing high-stakes test-based accountability systems on teachers and students, and implementing of pay for performance schemes. The Broad Foundation and the Gates Foundation teamed up in 2007 for a $60 million “Strong American Schools” campaign to ensure that education was a strong election issue and to promote strong curriculum standards, standardised testing and merit-based pay for teachers. Reference: The Broad Foundations 2009/10 Report quoted in Joanne Barkan, 'Got Dough? How Billionaires Rule Our Schools', Dissent, Winter 2011. With an agenda that echoes our decade of investments—charter schools, performance pay for teachers, accountability, expanded learning time, and national standards—the Obama administration is poised to cultivate and bring to fruition the seeds we and other reformers have planted. Reference: Joanne Barkan, 'Got Dough? How Billionaires Rule Our Schools', Dissent, Winter 2011. The Foundation funds the Broad Center which runs two "executive development" programmes aimed at getting its alumni into positions of power where they can promote and implement the Foundation's education agenda of choice, competition, deregulation, accountability, and data-based decision-making through charter schools, high-stakes standardized testing for students and merit pay for teachers. Reference: Christina A. Samuels, ‘Critics Target Growing Army of Broad Leaders’, Education Week, 7 June 2011. As a result of these programmes, Broad-trained executives hold top leadership positions in many of the nation's education districts including the three largest; New York, Los Angeles and Chicago. Critics argue "Broad-trained superintendents use corporate-management techniques to consolidate power, weaken teachers' job protections, cut parents out of decisionmaking, and introduce unproven reform measures". One programme is the Broad Superintendents Academy. Those attending the academy have their tuition and travel costs paid for the Foundation and, following the six-weekend course, find jobs as school district executives and superintendents. They come from business, the military, government as well as the education sector. Reference: ‘Results’, The Broad Superintendents Academy, 2011. Academy graduates have filled 71 superintendent positions and 87 senior school district executive positions. Graduates of the program currently work as superintendents or school district executives in 53 cities across 28 states. In 2009, 43 percent of all large urban superintendent openings were filled by Broad Academy graduates. Reference: ‘The Broad Foundation’, Seattle Education, 2011. Broad graduates are in this way able to gain 'an "alternative" certification process which has come to supplant or override the typical regulations in many states that require that individuals have years of experience as ateacher and principal before being installed as a school district superintendents'. Reference: 'Record Number of Broad Residents Take on Local, State, Federal Roles Managing Education Reform', Broad Center, News Release, 8 September 2010 ; Joanne Barkan, 'Got Dough? How Billionaires Rule Our Schools', Dissent, Winter 2011. The other programme is the Broad Residency, has also successfully placed some 200 graduates into over 50 educational institutions. The residency involves working full-time in "paid positions at the top levels of urban school districts, state and federal departments of education and leading charter management organizations.. Participants have an average of 10 years of experience, typically from a Fortune 500 or other major company." The foundation provides them with "professional development" for the first 2 years and subsidizes their salaries (50 percent the first year, 25 percent the second year). This subsidy makes them attractive to poorer school districts. Reference: Michael Klonsky, 'Power Philanthropy: Taking the Public Out of Public Education', in The Gates Foundation and the Future of U.S. "Public" Schools, ed. Philip E. Kovacs, Routledge, 2010, pp. 21-2. Broad fellows currently hold leadership positions in districts such as Washington, D.C., New Orleans, Philadelphia, Detroit, Green Bay, Boston, Durham, Prince George's County (Maryland), Providence, Houston, Chicago, Dallas, and Oakland, to name but a few. The annual $2 million Broad Prize given to a chosen school district serves to sweeten the pot, which makes the selection of a Broad-connected CEO almost irresistable. Reference: Michael Klonsky, 'Power Philanthropy: Taking the Public Out of Public Education', in The Gates Foundation and the Future of U.S. "Public" Schools, ed. Philip E. Kovacs, Routledge, 2010, p. 24. Perhaps one of the best known Broad fellow was Joel Klein, who became chancellor of New York City public schools. 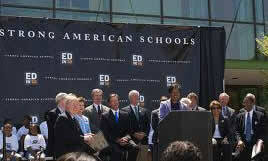 The schools were subsequently given over $100 million by the Broad and Gates Foundations. The Broad Institute for School Boards provides three training programs for elected school board members and non-Broad-trained superintendents conducted in partnership with the Center for Reform of School Systems (CRSS). The Institute trains new board members at a one-week summer residential setting. 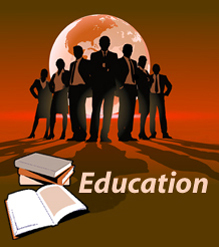 Its Alumni Institute is an advanced course for experienced school board members. The third program, Reform Governance in Action, is by invitation only and provides "a long-term, training/consulting partnership program to selected large, urban districts." The Broad Foundation underwrites 80 percent of all program costs through a grant to CRSS. Angela Bass, its superintendent of instruction. John Deasy as deputy superintendent of LA Unified (he's a likely candidate for the superintendent's job). In early 2011 "three prominent school district superintendents" trained by the Broad Superintendents Academy resigned "after allegations of mismanagement, autocratic leadership styles, and/or the pursuit of unpopular policies". The Broad Residency also receives funding from the Gates Foundation ($3.6 million in 2010).